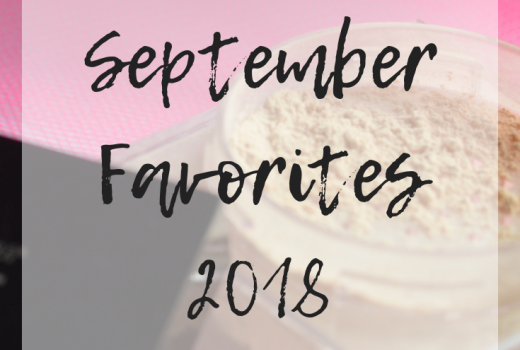 What is more perfect on a Favorites Friday than a post about favorite skincare? I have recently really been taking an interest in my skincare. I used to have really great skin, and boy do I miss that! I have noticed that lately my skin has been pretty bad. I rarely even washed my face every night or used anything other than maybe a cleanser or toner. That being said, I have been taking steps to help my skin heal and be healthy/glowing again. I always seemed to use the same old products while growing up. I used a Clinique soap bar for a long time and Proactive if my skin did get some acne problems. Through blogging and Ipsy, I have been able to try some incredible skincare products. I am still currently trying to find out my favorite regimen and am trying some different combo’s. I thought I would share my current skincare favorites from the last few months. I may not still use it consistently but I have loved it nonetheless. Also, most of these have been mentioned in various hauls or monthly favorites but I wanted to include them all in one specific skincare post. Olay Moisturizer for Sensitive Skin (8.99), I have mentioned this moisturizer many, many times but it is honestly the moisturizer I continue to go back to over and over again. I love all price, the formula, and the spf in it. I do have fairly sensitive skin and this is perfectly made for it! If you are new to skin care, this is a great one to start with! Definitely affordable but still really great for your skin. Hey Honey Good Morning Honey Silk Serum ($45.00) I know, I know, it’s expensive. The price point is pretty high for me. I received a sample version from Ipsy and have fallen in LOVE with it. I honestly was using it at night, even though it says morning (whoops) because I rarely do a full skincare routine in the morning. Even though it is pricey, I plan on buying a full size of this or the night version. The light honey smell is so relaxing and it honestly soothed my under-eyes and my whole skin. I rarely ever used a serum, in fact I barely knew what that was a few years ago. But this is totally worth it! I used this before my moisturizer. Feeling Beautiful Charcoal & Black Sugar Mask ($4.29) Once again I’ve mentioned this before, but it is my skincare essential so I had to mention it. I love a good charcoal mask! Feeling Beautiful Freeman’s masks are by far my favorite. They are so affordable and so worth it. I used to use their one time use packets from Walmart all my childhood. I love the feel of this mask and it really helps the skin in so many ways. It is easy to remove which is really important to me… I can’t use peel masks because my skin is too sensitive. Clean & Clear Advantage Acne Spot Treatment ($7.99) A lot of times, when my skin is bad it is just a few little areas that get spots. I finally bought this spot treatment to see if it helps and so far so good. I definitely noticed you have to make sure the area is already popped or exfoliated for best results. The formula is drying (because it has to be) but it isn’t too bad! OleHenriksen Oil Control Cleanser ($25) Ya’ll know I just received this from a Influenster box! I have fairly oily skin and this is a great product. I did find that using the whole “oil control” regimen was a little much and tended to really dry out my skin. But if I use just one product at a time, it works perfectly! I love this cleanser; I feel like it really foams up and gets my skin clean. The smell is great and I was in love with the packaging. This is a great and reputable brand, I highly recommend. O.R.G. Mineral Peel Face ($44.00) Lastly, my all time favorite product! 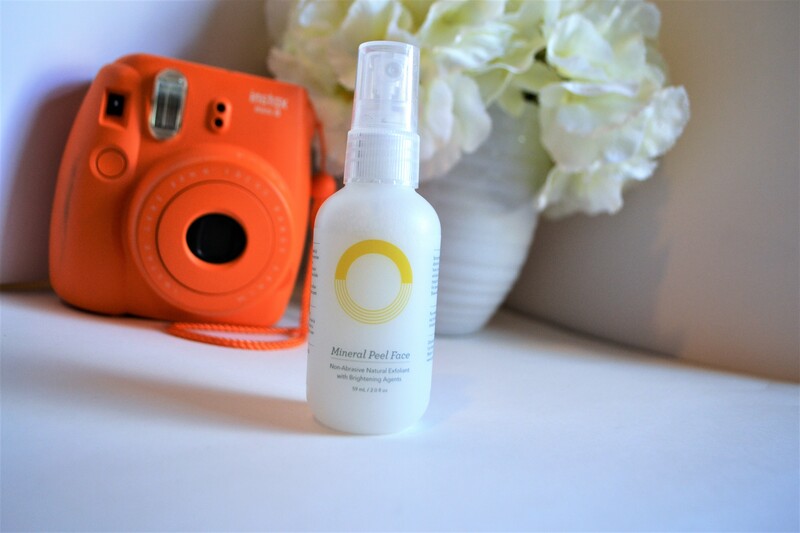 I received this mineral peel from my fall FabFitFun box and it is one of the best products I have ever used. I am really reluctant when any product uses the word “peel.” I had an extreme reaction to a peel off mask that was HORRIBLE. My face hurt and turned bright red and splotchy. So I was really unsure about this product, but boy did it change my mind. I use this in the shower a few times a week. All I do is spray a few sprays all over my face, let it sit for a few seconds, and then use my finger tips to rub all the dead skin off my face. I can’t stress enough how gentle this product is on your skin. I have never had any burning or anything on my face. I have nothing but great things to say about this product. It is a little pricey, but you will have this product for a very long time. You only use a few sprays each time and it isn’t a daily product. I highly suggest it and I personally think it is worth every penny. Next, I use toner- I am always amazed at home much makeup and dirt is still on my face when I use the toner. It is a great product! usually some lip balm and lotion on my hands to finish everything off! *If I do a mask, I normally do it after I cleanse my face. I use soap and water. I use a lotion every few days but not to much to make it greasy. some great research here, bookmarking for next time I go beauty shopping! I am kind of a skincare junkie! So I appreciate you sharing this! I’ll check them out for sure! Thank you so much for sharing these!! I haven’t heard of most of them, but you’ve definitely piqued my interest!! I’m going to give that Olay Moisturizer a try for sure because I am in desperate need of some really great moisturizer! That Hey Honey serum sounds great! I definitely want to try that out! Although, I just bought some new skincare serums so I’ll have to wait until I’m done with those. Great post! Thanks friend!! You’ll have to tell me how your current serums do! Definitely going to do an updated skincare routine once I’ve settled in with all the new products I’m using! I use that same Oil of Olay product, I love it!! 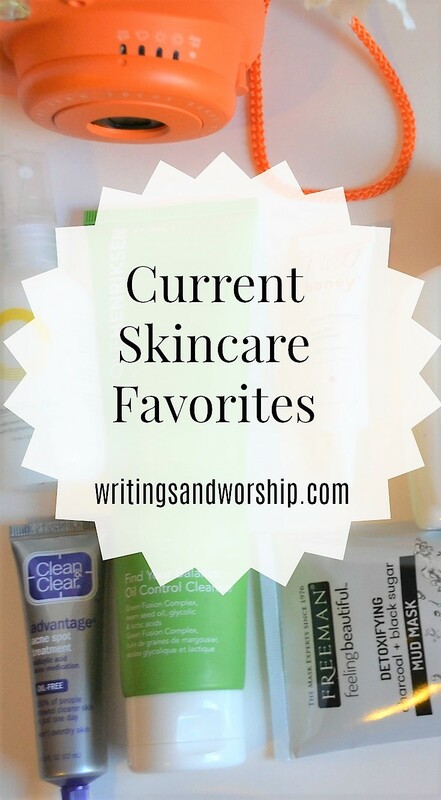 I’ll have to check out the rest of your skincare favorites! What a great list of skincare products! Thank you for sharing your skincare favorites! I want to try out the O.R.G Mineral Peel! These seem like amazing skincare products. I do not know much about skin care prodcuts, but just looking at these make me want some. 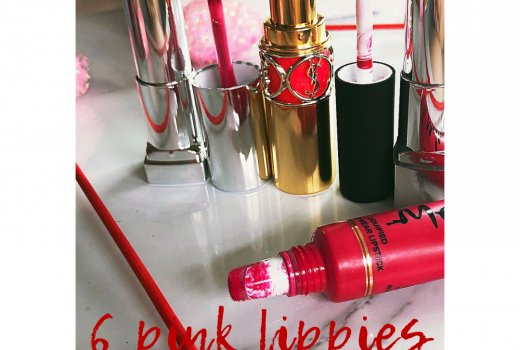 As a makeup and skincare lover, I had such a fun time reading through your post! I too am apprehensive with peels, but I definitely want to try out the one you mentioned. I love reading about what products people consider their favorites, so this was such a fun read! I’ll be back for more!